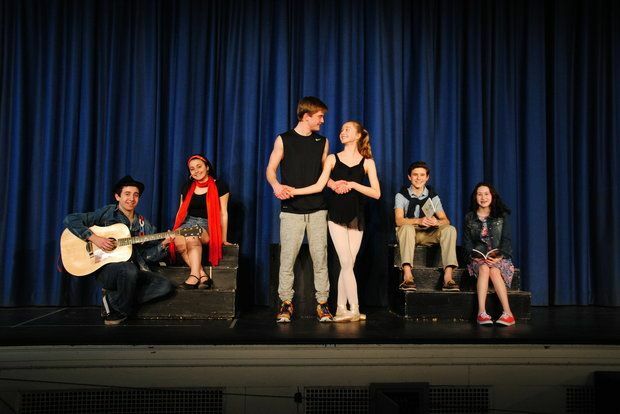 Come see Roosevelt Intermediate School in Westfield, New Jersey light up the stage like a flame with Fame the Musical! The pop-culture phenomenon about the legendary New York High School of the Performing Arts will take the stage on Friday, March 24 at 7:30 pm, Saturday, March 25 at 7:30 pm and Sunday, March 26 at 2:00 pm. Tickets are on sale now by visiting ris.booktix.com and will also be sold at the door. An unmistakable title from the film and television franchise conceived by David De Silva, Fame inspired generations to pursue careers in the performing arts. The musical follows the final class of New York City's celebrated High School for the Performing Arts from their admission in 1980 to their graduation in 1984. The young artists navigate the struggles and celebrations in the worlds of music, drama and dance. Kimberly Jonny, director of Fame the Musical, and public speaking and drama teacher at Roosevelt Intermediate School, said "We can't wait to bring this inspirational and high-energy musical performance to our community. We are so proud of the cast and crew who will absolutely keep the audience dancing in their seats." This high-octane musical was professionally choreographed by the amazing Samuel Spare, who has preformed professionally for the past ten years for such companies as Six Flags, Busch Gardens, and more recently Norwegian Cruise Line. The musical direction was provided by the incredibly talented Roosevelt School music teachers, Sabino Losco and Karen Romero.